So, if you can’t tell, I’m obsessed with oats and granola. I finally made the granola I’d been planning for a few days, and I’m happy to say it is everything I dreamed it would be. Plus, easy, fast, and healthy. I’m going to eat it with yogurt for breakfast. You can use whatever fruit/nut combination you want, or sub brown sugar or honey or agave syrup or whatever else for the maple syrup, or use less oil if you want a chunkier granola. 3/4 c diced crystallized ginger Preheat oven to 325. Spread oats on a cookie sheet, toast in the oven 10-15 minutes, stirring once. Watch carefully to make sure they don’t burn. Once the oats are toasted, combine the oil, salt, and maple syrup in a small saucepan and cook for 5 minutes. 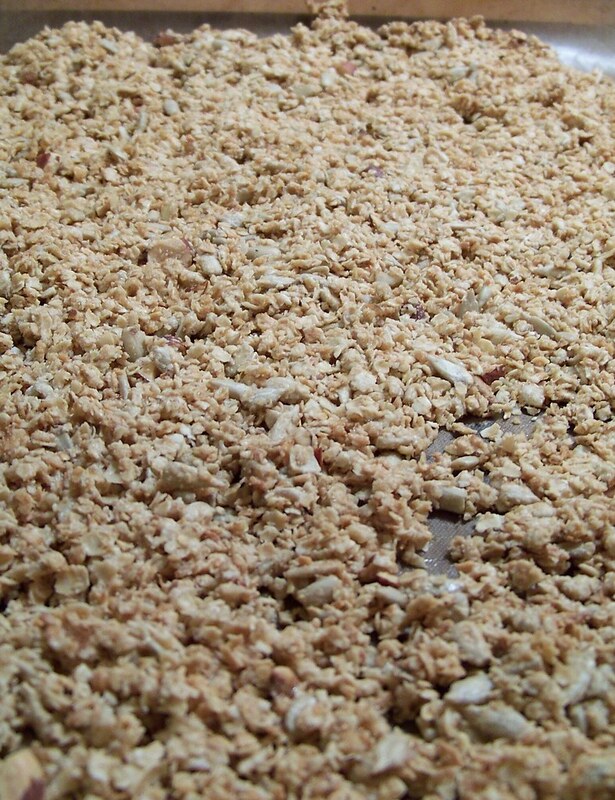 Combine the oats, flaxseed, sunflower seeds, almonds, coconut, and brown sugar in a large bowl and mix well. Add hot syrup mix and stir to coat. Divide mixture evenly between 2 cookie sheets and press down with your hands so it’s even. Bake on two racks in the oven, switching after 20 minutes. Cook 20 minutes more (40 total) and let cool. Break up, add fruit and ginger, and try not to eat it all at once. Makes about 6 cups. 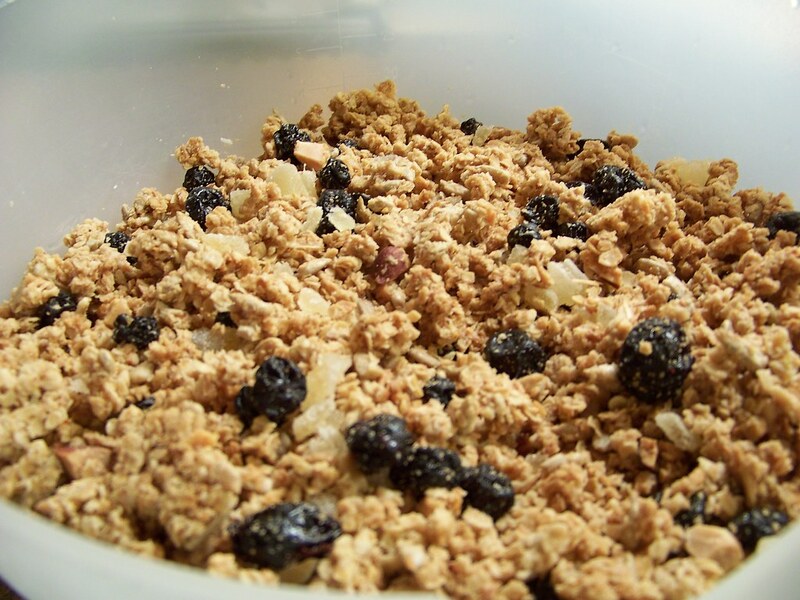 I don't remember the last time I actually had granola, looks good! I bought some dried blueberries the other day and have all the other ingredients in my cupboard. I am soooo trying this tonight!